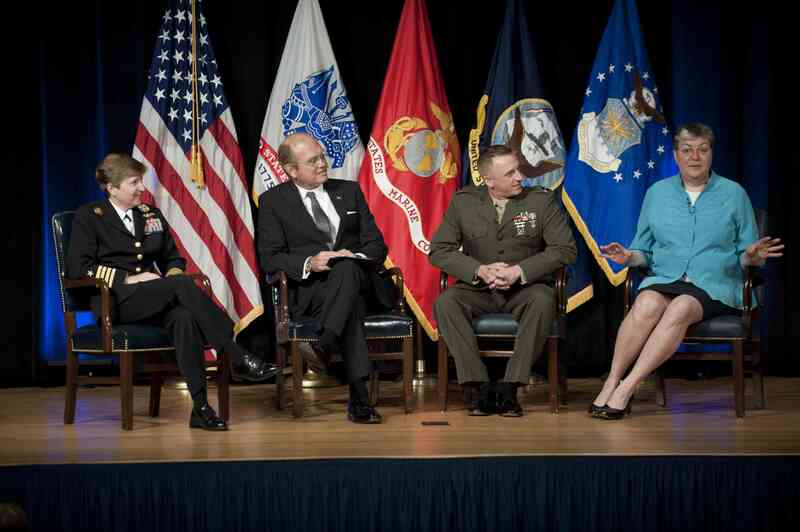 My big coming out was at the Pentagon last June at the first official LGBT Pride Month event. You can check out the video at C-SPAN (my part begins at 36:20). Still, on this day, I thought I would take a minute to express my pride in those fellow service members–both LGBT and our straight allies–who express their support for equality. I will also take a brief moment to encourage those who are on the fence to come out. It’s a personal decision, to be sure, but it’s a decision that is based on integrity rather than fear. Coming out is not only personally liberating, but it’s an inspiration to those around you who need to know that we’re here, in every community, in every family, and deserve exactly the same rights to live our lives and pursue our dreams. I recently gave a lecture at San Diego State University with my good friend Kristen Kavanaugh, a fellow Marine and former captain, and one of the founders of the Military Acceptance Project. The lecture was the first of their FLUID Lecture Series, which is a public lecture series focusing on the diversity of the Lesbian Gay Bisexual Transgender Intersex Queer and Ally community. It’s been a while since I’ve written. Maybe it’s because I don’t have anything to say. Or perhaps it’s because I haven’t had time. Or perhaps it’s another reason altogether. I’m visiting Chicago this week. After months of non-stop work, I finally got a break and wanted nothing more than to visit my family and my dog. Everything is more or less as I left it, as I suppose would be expected. It’s comforting to know that when everything is going crazy, whether good or bad, some things are always there.